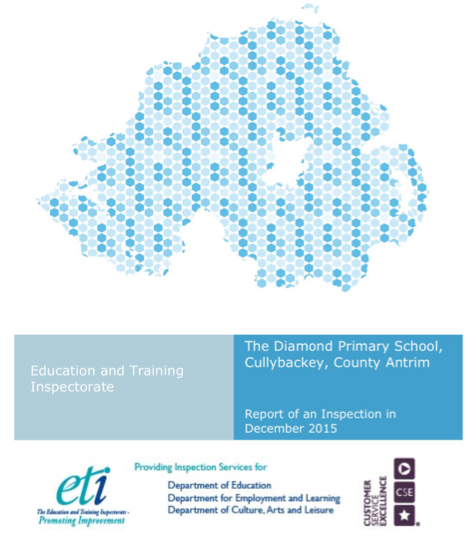 The Diamond Primary School underwent an Inspection by the Education Training Inspectorate at the beginning of December 2015. We were delighted to receive a very positive report which described the school as 'very good' overall. The Inspectorate noted the wonderful, family atmosphere in the school and the friendly and caring ethos evident from children and staff alike. They were particularly impressed by the school's achievements and standards, and the manner in which children were supported in their learning. Choose a link below to read the full report for yourself.